65 Sweet New Year Wishes For Lover - Happy New Year Baby! ♥ Let’s make the new year special and sparkling! Happy New Year Baby! ♥ I only have one New Year’s resolution–to love you forever. ♥ It’s a brand new year, and we have brand new love! Let’s celebrate darling! ♥ It’s going to be a bright and bubbly new year, and I look forward to spending it with you. ♥ The future is fresh and it’s going to be all ours! I can’t wait to live it with you. Happy New Year! ♥ The magical memories of the old year linger, but now it’s time to make new ones together. ♥ A promising, prosperous new year lies ahead. Let’s make the most of it. ♥ Let’s count down to a new year and having a ball together. ♥ Ring in the new year with me. Happy New Year my Love! ♥ In 20.., let’s seek new horizons and appreciate life together. ♥ At the stroke of midnight, I hope to be stroking your hair and kissing your lips. ♥ It’s time to embrace a new year with determination, strength, and love, and I can’t think of anyone I’d rather have by my side than you. ♥ On New Year’s Eve, fireworks will flicker and flash in my heart as our lips meet at midnight. 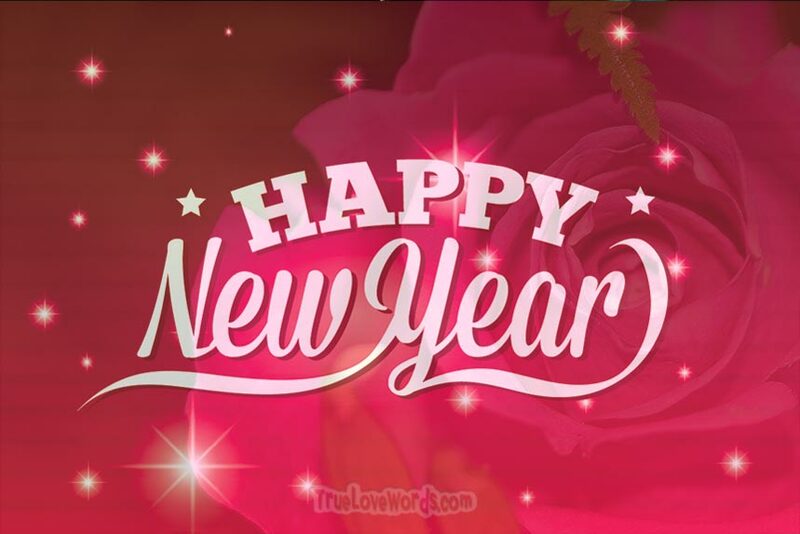 ♥ Let’s celebrate New Year’s with a toast to the kind of love that will never end. ♥ While the bands play, our hearts will beat to the rhythm of new beginnings. ♥ The clock and the calendar may move on, but our love will stay firmly planted forever. 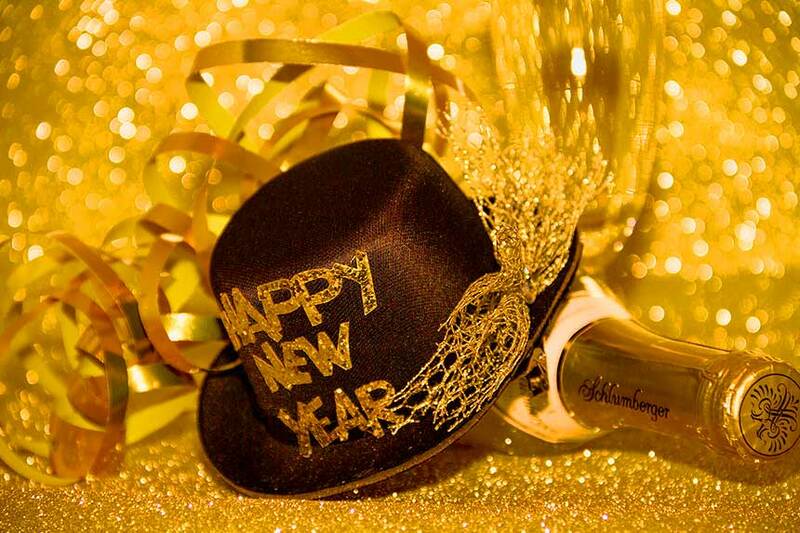 ♥ Dinner, dancing, drinks, and desire describe a perfect New Year’s Eve spent with you. ♥ Let’s put on our party hats and pull out the horns. Time to celebrate another year together. We have love to celebrate! But my love for you will never pass. What a great year it’s going to be. On New Year’s Eve, will you be my wife? ♥ When the fireworks fade, and the cheers die out, you can still find them for you in my heart. Happy New Year Baby! ♥ You are spectacular and spellbinding, just like the thought of a new year with you. ♥ A new year is stirring and my heart is purring. A new year with you is going to be amazing. Will be quite a treat. ♥ The new year was tailor-made for us. I’m so glad we’re together. ♥ It’s been a whiz-bang, fat lady sang, super, amazing year. And now it’s time for bells to chime, to cheer for another year. ♥ Our love is unstoppable, just like a new year together. Just like the new year, you are warm, welcoming, and wanted. ♥ December is gone, and January’s here. Time to celebrate a brand new year. Our love’s over the top! ♥ Let’s be festive and feisty as we ring in the new year together. ♥ Do we really have to wait until midnight to kiss? Now looks better to me! ♥ Cheers to many more years. Happy New Year baby! ♥ Pull out the bling and let the new year ring, baby! ♥ We’re in New York, let’s pop the cork! ♥ First the pop, then the fizz. After that, get down to biz! ♥ Glasses clink, time to drink! Here’s to a happy new year! ♥ Pop the bubbly and let’s get cuddly! Clink it in, drink it in. ♥ 20.. will be the best year we’ve seen. ♥ It might be a new year, but our love will stay the same. ♥ 20.. is a blank book, and we have fresh ink. Let’s write a bestseller together. ♥ May this new year bring us closer than ever before. I love you. ♥ Let’s bring all the good things from the past year into the new one, and leave all the ugly stuff behind. Let’s make bad times disappear! ♥ My to-do list for 20..: Love you! ♥ Cork’s gonna pop, love ain’t gonna stop. Happy New Year darling! ♥ If we learned anything last year, it’s to love hard. Let’s keep it going in 20..
♥ This new year is the perfect opportunity to show you how much you mean to me. Let’s enjoy it to the fullest. ♥ I hope that when we look back at this new beginning, we will remember the love that has filled this moment with perfection. ♥ May blessings rain down on our new year like fireworks in Times Square. ♥ Let’s fill the new year with many joyful moments of love and triumph. ♥ May love illuminate the new year as we travel it together. ♥ Sparkles in your eyes, confetti in your hair. Your beauty glows around me, and I can’t help but stare. ♥ May 20.. be a season of serenity as we celebrate life. ♥ On this night of romance, may the new year dance. May life give us a second chance. ♥ The ball dropped, our lips locked, and my heart stopped. I will cherish this moment forever.